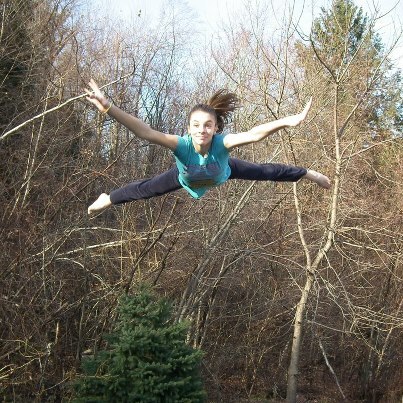 A video of her doing 14 backflips on a trampoline is here. Her floor routine at the Massachusetts State Meet in 2014 is here. Our household always features fish, some kind of rodent, and a snake or two. Some of these small friends may have music dedicated to them: Kiara Pig Jig was inspired by our guinea pig, and Nibs and Nobs immortalizes a pair of ribbon snakes. 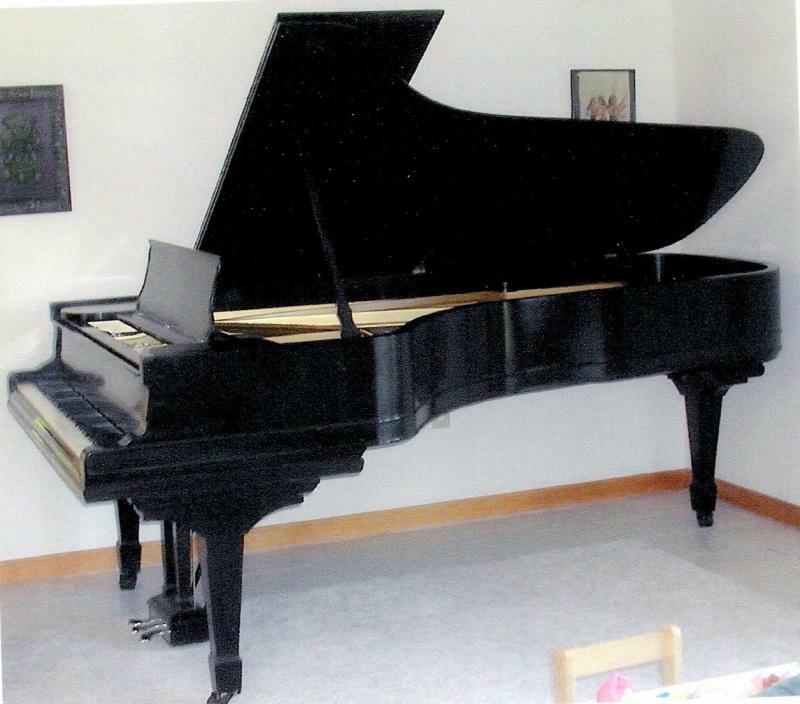 Our family also includes a 1904 Steinway-D, all nine feet of it! We also recently acquired a four-manual digital organ loaded with Hauptwerk software and samplings of three mighty pipe organs: Salisbury Cathedral (Willis organ), Our Lady of Mt. Carmel, Chicago (Skinner organ), and the Laurenskerk, Rotterdam (Marcussen organ). The stops seen on the touch screens, below, are those of Salisbury Cathedral. We live in a wooded area with plenty of room to garden. We grow vegetables, perennials, berries, and have a small fruit orchard. Our pride is our rose garden, which has around 45 roses. 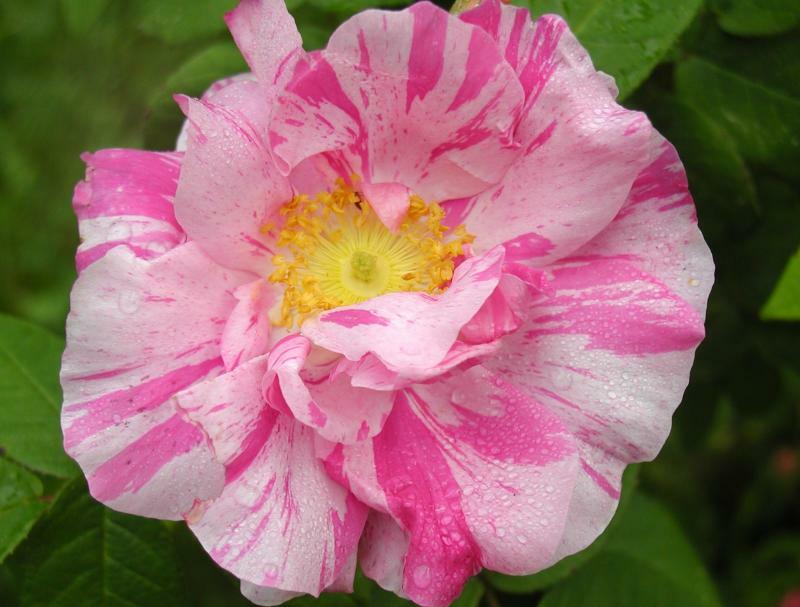 Some of our roses are antiques; hybridized before the 20th century. I was a pinball aficianado before I was trained in music, and I have never lost the obsession of the pinhead (that's what pinball lovers call themselves). I am now the proud owner of three commercial machines: Genco's Silver Cup, from 1932; Gottlieb's Tropic Isle, from 1962; and Bally's Mata Hari, from 1977. I do a bit of photography, especially of wildlife. 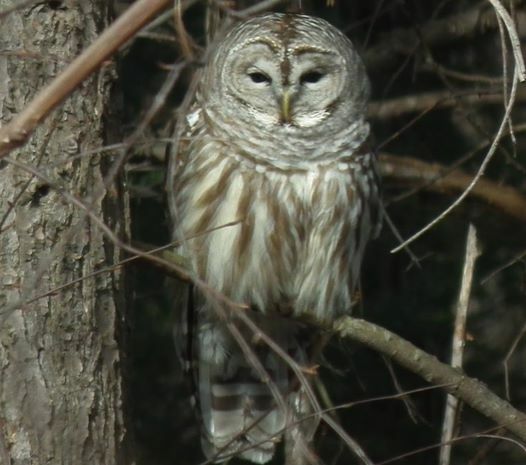 Pictured is a barred owl who has been hanging around our bird feeders for several winters, looking for mice. We named him "Murphy".